UKRAINE: NATO warns of secret Russian military buildup in Ukraine – Doesn’t sound so secret if it’s on Yahoo News?!? Congress blocks NSA reform – Because they’re always watching out for the little people. What In The World Is NASA’s Research Plane Doing At A Military Base In Africa? Senate Rejects Keystone Pipeline Bill – Don’t worry–it’s going to pass. This is just smoke and mirrors. Barack Obama’s grandfather was also known as a used furniture salesman. Surely the devil’s greatest work has been the counterfeiting of the Church of Jesus. It has taken him and his minions almost 2000 years, but they have co-opted the visible Church, which many confuse with the Body of Christ. It doesn’t matter if one favors the Roman Catholics, the Reformers, the Pentecostals or the many Masonic branches of religion (Jehovah’s Witnesses, Seventh Day Adventists, Mormons, etc), the visible Church today is not the Body of Christ. It is surprising that many people who claim to recognize the wickedness of the Vatican, who claim to recognize the evil in the papal system, praise the work of the Reformers and Protestantism–who sprung from the same roots as Roman Catholicism. Can a corrupt tree bring forth good fruit? The founders of Pentecostalism died of drug overdoses, alcoholism, communicated with demons and held antichrist doctrines–and yet, many today claim the fruits of such men and women are good. In 2014, there is no part of the visible Church that is not corrupted. 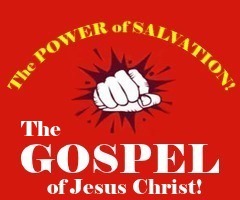 Beyond the great masses of unsaved who populate the churches, there are a great many who actively aid in the deception, pretending to be Christians in order to assist the wolves in the pulpits. The visible church in America is merely marking time, waiting for the man of sin. Pray that true believers will find each other during the end times. Pray that a merciful God opens the eyes of those deceived by Satan and his deceitful workers. Pray to God to open the eyes of those who worship their idols in counterfeit churches. Pray that God will open the eyes of many who today sit in the churches listening to ungodly men preach antichrist doctrines. Pray God’s will be done. I knew you would associate Pentecostals with “demons” eventually! BTW: I’m not a “troll”, I’m your Brother in Christ trying to warn you not to make sweeping, false accusations of your fellow servants in the Lord. Here’s a few of the “leaders” of early Pentecostalism (as listed by a prominent Pentecostal preacher/writer). As Pentecostalism is only a little over 100 years old, (the oldest denomination is only 130 years old), others prominent in the movement’s first 50 years are also included. 1- Amy Semple McPherson [founder, Foursquare Church] – died of barbituate overdose, 1944 Oakland, CA. Also involved in adultery, divorce. 4- AA Allen, faith healer/evangelist – Died of liver failure brought on by severe alcohol overdose in 1954. 5- John A Dowie (founder, Zion IL) Involved in arson scandal in the 1880s involving his church. Successfully sued more than once for defrauding women by selling them securities in bankrupt companies. There’s more–many more. But you can look them up. Again, the fruit comes from the tree. Your warning is taken in exactly the same spirit it is given.